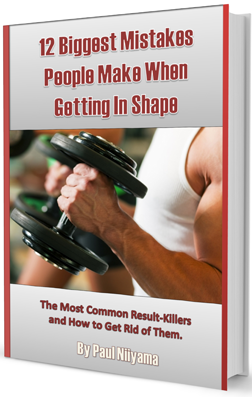 When I first started writing I wanted to write about all sorts of foods that were good for building muscle burning fat and that are just really healthy to eat. My intent is to eventually have an in-depth article on every food that I can think of that is good for getting and staying in shape. Recently I have been writing a lot about other topics that I find interesting, but I did want to get back to writing about individual foods. In the past I have covered various proteins and carbs but haven’t really written about the healthy fats. In my opinion there are 3 that are really good; avocados, almonds and olive oil. Recently I have been incorporating alot of avocadoes into my diet so today I will cover one of the best fat sources out there…. the avocado. Avocados have a lot of calories and can be a great addition to any diet. One ounce of avocado has about 45 calories. An average avocado is about 5 ounces so you are looking at about 220 calories per avocado. This can be a good thing or a bad thing depending on what fitness goal you are trying to accomplish. Building muscle is not just about eating a ton of protein; you also need to get enough fat in your diet. Avocados, which are actually a fruit and not a vegetable, are very high in fat. An avocado has 4.1 grams of total fat per ounce. 2.7 grams of that is from healthy monounsaturated fat, 0.5 grams of that is from polyunsaturated fat and 0.6 grams is from saturated fat. A medium sized avocado is usually about 5 grams so you are looking at around 20 grams of fat per avocado. The reason dietary fat helps to build muscle I because of the abundance of calories. Fat provides a lot of calories per gram (9 as opposed to 4 for protein and carbs.) This gives the body a good source of fuel for your hard workouts. The other reason that fats are important is because they help the body to absorb the fat soluble vitamins like A, D, E and K. These are necessary for the body to function properly. Healthy fats like the kind in avocados have also been shown to increase the production of testosterone and growth hormone. These hormones help the speed up the muscle building process, which is definitely a plus. Most of the monounsaturated fats in avocados are from oleic acid. This is also very common in olive oil and has been shown to reduce the bad cholesterol in your blood. While that is not as important for building muscle specifically, it is good for your health since it lowers your risk for heart disease. Oleic acid also helps your body to absorb carotenoids. Carotenoids are important for cell growth as well as supporting your immune system. There are 20 essential vitamins and minerals in avocados. Some of these help to reduce the risk for heart disease, cancer, and premature aging. Avocados have good levels of potassium, vitamin K, folate, vitamin B-6, vitamin E and vitamin C.
Avocados are full of potassium and they actually have more potassium per gram than bananas do. A gram of avocado has 4.85 mg of potassium, while a gram of a banana has 3.58 mg of potassium. In addition to the abundance of vitamins and minerals, avocados are also full of enzymes. These enzymes are important because without them the vitamins and minerals would not be absorbed properly into your cells. Even though avocado seems more like a vegetable than a fruit, it is still technically a fruit. It is very rare for a fruit to contain protein… let alone a complete protein. Yes avocados are a plant-based source of complete proteins. Each ounce of avocado has 0.6 grams of protein so a 5 ounce avocado has about 3 grams. Yes, it’s not a lot but every little bit counts toward your daily total and when you get it from a fat source, it’s just a nice little bonus for your daily total. Avocados have a relatively high amount of fiber. Of the 2.4 grams of carbohydrates in an ounce of avocado, 1.9 of that is from fiber, which means very little of the carbs are from sugar. Fiber helps aid in digestion and helps you avoid constipation. A 5 ounce serving of avocado would provide about 40% of the RDAs recommended fiber intake. Not bad. You can really eat it however you want. Avocados are usually served raw in a salad or prepared into guacamole. (I can’t really think of an example where one would serve it cooked and I’m not even sure it would taste good that way.) They have a creamy texture and will accompany most main dishes well. So there you have it. Hopefully you can add this great food you your nutrition plan. One word of caution though, since they have a lot of fat they have a lot of calories. If you are bulking that should not be an issue, but if you are cutting you will need to monitor how much you eat since the calories can add up pretty quick. So what’s your favorite way to eat avocados? Leave a comment in the box below with your favorite dish you like avocados with or your favorite recipe. Also, if you found this article informative, please give it a like or share on facebook. You can also check out some of the other articles on the site. ← Coconut Water vs. Sports Drinks: Which is Better?